In the modern age of cooking, one of the most difficult things for many people can be going out and getting groceries to cook with. You may have personal convictions on getting properly sourced products but don’t have time to go to the grocery store, need assistance due to a disability, or even just work too much to shop for groceries. No matter who you are, if you love cooking and want to experience the same type of variety you would if you went to the supermarket, you deserve to have the groceries that you want in your household, easily accessible. This is where meal kit delivery services come in—thanks to the internet, in recent years a number of companies have popped up that aim to solve these issues by allowing people to have their groceries delivered to their door, making it more accessible than ever to cook your favorite meals at home. A bonus to these services is also that they don’t keep offering the same things—in the same way grocery stores will have specials and products will come in or out of season, delivery services adapt to the market and keep a consistent variety for you to choose from, regardless of what your preferences are. This is a wonderful thing, as it allows anybody to be able to access the groceries they need without having to sacrifice comfort or variety in the process. As you might expect, though, these services aren’t a matter of a one-time-payment that you are then able to benefit from for months on end. No; a meal kit delivery service typically takes on the form of a subscription-based service that you continually use to have a recurring amount of groceries, typically on a weekly basis. This doesn’t mean that you will be bound to a certain service once you commit—instead, you often have the opportunity to opt out depending on which one you choose. Some will give you a discount for paying for more than a month at a time, but typically they allow you to have a monthly service bill that you can then stop/start again at any time. Since these services began offering products at the beginning of the millennium, though, the market has significantly expanded, leaving any person with dozens of options for meal kit delivery services to choose from. Naturally, it can be difficult to sift through all of these options just to get to the one that works for you, so we wanted to help by testing out 10 of the most notable services to see which ones are most beneficial. In this article, we’ll be taking a look at different meal kit delivery services and analyzing them in four categories: accessibility (ability to adjust for dietary restrictions), quality (how fresh and delicious the ingredients are), variety (the amount of different meals offered), and price (whether or not a service is worth the money it charges). The general prices of meal kit delivery services aren’t necessarily for those on a tight budget. Because the service itself is already doing a lot for the customer, companies will charge you for that convenience. Ultimately, meal kit delivery services are meant to give you something that makes your life more convenient, so ultimately you’re paying for the convenience, with some services being around $10/per serving for a 2-4 serving meal. When you’re considering how much it would cost you to go out and get the groceries, also factoring in your time and the transportation costs, the pricing usually makes sense. It isn’t the most cheap service in the world, but for those who can afford it and want to use it, it can be quite wonderful. That being said, we will be going into price with our analyses so you can understand which services are more expensive than others and factor that into your decision making process if that is important for you. This list is not necessarily in any particular order, as we won’t be rating the services from 1 to 10. However, at the end of the article we’ll be providing our personal Top 3 Meal Kit Delivery Services so you can get an idea of which ones stood out to us overall. How much do meal delivery services cost? Is meal delivery worth it? What is the best diet meal delivery plan? Do meal delivery plans save money? What is a meal kit delivery service? How do meal delivery services work? How much does Ediets meal delivery cost? Does Amazon have a meal delivery service? How do I discontinue Home Chef meal delivery? How attractive is home meal delivery service? How to store meal delivery recipes? How many meal delivery services still exist? What is Home Chef meal delivery? Does Lyft do meal delivery? What meal delivery service is teaming with a grocery store? Are there any meal delivery services for singles? Should I get a meal delivery service? Should you eat meal deliveries every day? How to get meal delivery service at apartment? 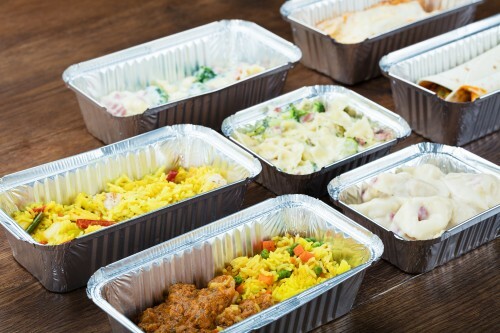 How to reheat meal delivery food? Why opt for meal kit delivery? What is Kim Kardashian meal delivery? Can I have my meal delivery box sent? Who owns Good Eggs meal delivery service? How to start a meal prep delivery business? How does Amazon's new meal delivery service compare to the competition? Who was the first meal delivery service? What is the best diet meal delivery service? Which meal delivery service is cheapest? 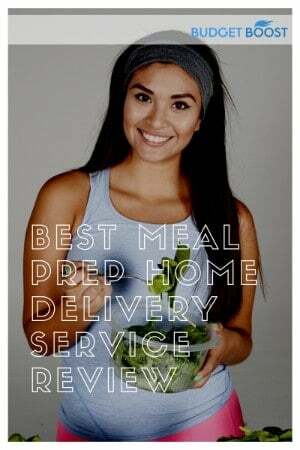 Which meal delivery service is healthiest? Which meal delivery service tastes best? Which meal delivery plan is most like the Dash diet? Which meal delivery service accepts food stamps? Which meal delivery service has least packaging? Which meal delivery service offers Mediterranean diet? What are the best plant-based home delivery meal companies? What is the best diabetes meal plan delivery? Which meal delivery service has paleo? Are there meal delivery boxes for keto diets? What is the best vegetarian option for home delivery meals? Do any meal delivery services offer low carb meals? From the get-go, one of the biggest advantages of Sun Basket is the amount of different dietary options you can choose from. Not only can it adapt for paleo, vegetarian, gluten free, and lean & clean diets, but it also offers organic ingredients to make sure that you’re able to get the most for your money. These specialized meals also make it easier than ever to customize and mix-and-match your options, meaning that you can also get an incredible amount of variety in your order. So, the accessibility and variety both check out with this service. The cost of Sun Basket is definitely on the moderate end of meal kit delivery services (about $11.99 per portion or $9.99 with the family plan), but it makes sense given the fact that the program itself gives you access to organic, GMO-free ingredients. Depending on where you shop, it might cost more to get those ingredients on their own, so in some ways this service is also a deal of sorts. The boxes that the products come in are also 100% compostable, making it even more sustainable for you to use the service and not have to worry about your contribution to waste build-up. Keeping these prices in mind, you’ll likely be paying $78.93 for 3 recipes or $58.95 for 2 recipes. These prices include the shipping charge, but are different from other services that don’t add the shipping charge on top of the charge you pay for the ingredients. How is the food, though? All of the ingredients tasted fresh for the meals we used. In particular, we were impressed with how the meats, seafood, and fish came underneath ice packs that kept them cool during the shipping process. Not once did any sort of meat arrive to us warm, which is definitely a plus because it then tasted delicious and we didn’t have to worry about anything. The other ingredients are also consistently well-packaged, giving enough air room and insulation so nothing is overwhelmed by the elements involved when shipping so many things in a cardboard box to another destination. The food also tastes delicious! Our favorite recipe that we were able to try during our testing was the turkey Thai lettuce cup, but we had good experiences with all of the recipes we tried, as they were all memorable and came with very intuitive instructions to follow. HelloFresh is one of the more well-known meal kit delivery services and that’s not for no reason—their name alone is notorious for being loaded with fresh products, good recipes, and adventurous meals that allow flexibility for amateurs up to the most experienced chefs. They do have a variety of meal plans that go beyond most of the competition, even offering halal, vegan, and keto-friendly meals on top of the preexisting options, giving consumers an opportunity to cater to all of their desired dietary preferences. In terms of prices, it’s pretty normal for these types of services: each meal is roughly $9.99 per serving. So, although it’s a bit cheaper than Sun Basket, it’s still on a pricey end of things for those who are on a budget. The difference, though, with HelloFresh is the sheer quality of the ingredients you are given. The food you eat with this service is truly delicious. When I first tried it, I wasn’t expecting much, as I was pretty skeptical of the whole meal kit delivery service concept as a whole. However, I was pretty impressed by the meals offered with HelloFresh, in particular their taco dishes. Not only that, though, they’re also easy to make and give you a really easy-to-follow set of instructions on a card to follow with detailed illustrations. In a way, this is one of the most intuitive ways to give instructions and it keeps all of the preparation to a minimum. A major plus is that HelloFresh gives you the exact amount of ingredients you need. Even though there are other delivery services that do similar things, but sometimes I find myself wanting more than the instructions indicates. For example, sometimes you really can’t have too much garlic, and when a recipe will state it, I prefer to add more. HelloFresh’s recipes don’t really need any customization, though—they’re all quite delicious exactly as they are described and made on the instructions. This is a huge benefit, as I am able to let go of my personal judgment and just trust that the people who made the meal will do it again and provide a scrumptious recipe that nearly anyone can enjoy. The meal times also all take around 30 minutes to prepare, which isn’t much to commit to if you’re in a rush to get somewhere. That proved to be a huge savings for us, as we were able to not worry about committing multiple hours to cooking a truly elaborate and delicious recipe. For people who feel like they’re slow in the kitchen, the recipes that HelloFresh gives with your purchases also have pretty accurate timing, even for somebody who doesn’t feel as confident in the kitchen as they want to be. Martha & Marley Spoon is a meal kit delivery service for those who are interested in finding a service that allows them to have specifically American, thorough dishes. This aesthetic makes sense, as the service is run by none other than Martha Stewart herself, making it feel like anyone can be a confident cultural chef with ease. The prices are on the expensive side of meal kit services, costing you $48 for a box with two meals for two people. That’s about $12 per serving, though the price goes down when you include more meals, more people, and more orders. As a baseline price, this puts it on the higher end of things, which is one thing to take note of if you’re on an extremely tight budget. The food you actually get to prepare is incredibly delicious, but sometimes you might find yourself having to bring your own ingredients to the table (literally)—for example, we found ourselves needing oil to complete the recipe, which was not the case with other services. It’s not that big of a deal, but if you really want to be able to take everything out of the box and prepare it right then and there, that might be a negative factor. Though the food is delicious, the main fault behind Martha & Marley Spoon is that the portions are much smaller than their competitors. This could be a helpful asset for those looking to regulate their diet more strictly, but given how expensive it is we couldn’t help but feel like something was missing. For those who are looking for a really luxurious meal kit delivery service, Martha & Marley Spoon will do just that, allowing you to eat some wonderful meals that can be prepared quickly. If you’re a stickler for getting your money’s worth, though, we wouldn’t recommend it simply for the portion size versus the price you pay. Following in a similar vein as Martha & Marley Spoon, PeachDish is an example of a more luxurious meal kit delivery service. The dishes center around more Southern recipes, including many spices with each dish and often having 8 different meals to choose from each week, with half of them being vegetarian options. This is as far as the accessibility goes, though—unlike something like HelloFresh, PeachDish does not give a large variety of options for those looking for a large amount of variety within a dietary preference. This is a shame, as the food we tried from them was really delicious, but it’s definitely not for everyone. One of the things that PeachDish does have going for it, though, is that the recipes are really rich in flavor and enticing to make. In particular, the one that made us salivate was the Beef Hot Pot, which came with an assortment of vegetables, ginger, and more that really brought the dish together. Not only was it strong in flavor, it also was very aromatic, making the preparation process just as much fun as the actual dinner! A nice touch to PeachDish is the information about the chef who made the recipe on the “Nutrition Facts” card, meaning that you were able to learn more about the person who came up with the meal you made. This is a cool and unique way to become more connected with the food and also could lead you down a fun road of figuring out certain styles of cooking that some chefs embrace, etc. Ultimately, though, the downside for PeachDish is pricing—the cheapest option you can get is a box of two meals (two servings per meal) for $50. This is even more expensive than the Martha & Marley Spoon boxes that we already think are too pricey, so it’s definitely on the higher end of meal kit prices. On the bright side, though, you’re guaranteed a good meal that also has great portions. This is one of the services that we were continually coming back to, which made it helpful when we were deciding which meal to cook next! One of the coolest things that Blue Apron has to offer is the flexibility surrounding the meal plans. You can select meal plans around how many people, diet type, (even including options such as Mediterranean), and more, which is a cool way for you to customize your experience. This is also a problematic aspect of this service, though, because the many options for food preference seem to be in lieu of having an accessible service. For example, there aren’t many options for dietary restrictions other than going vegetarian. The only given alternative for people who have dietary restrictions is to simply replace the ingredients in any given recipe. This is a alright solution, as the recipes themselves come with options and substitute ideas, but it still puts a lot of the responsibility on the consumer to then edit the recipes to fit their dietary plans. For us, that is a huge drawback with regards to accessibility because there are many other services that let you plan around your dietary preferences, not just adapt for your specific circumstance. The benefit to Blue Apron is that the price is truly right, with each serving being about $9.99 and coming with a lot of food. For those who are able to eat the food, it’s a great deal within the context of meal kit delivery services. The $9.99 per serving portion is the most expensive amount, with that price going down with more people, more meals, etc., making it surely one of the cheapest delivery services currently available. One of the best things that Blue Apron has going for it is the recipe selection, which gives 8 options a week to choose from (not necessarily ground-breaking), but has a distinct variety of quality recipes within these 8 choices. The Mediterranean dishes, for example, are incredibly delicious (we had the Middle Eastern Spiced Cod) and are a long shot from other recipes on the menu. This allows you to get a variety of meals without having to necessarily worry about breaking any sort of quality control worries you might have. So, the service is good, the price is good, and the food is delicious; what is not optimal about Blue Apron? Well, the packaging is a bit sloppy and doesn’t have great presentation. The ingredients are typically just shoved in the box on top of each other, not making for a pretty picture, unlike other services that have individually-marked boxes for each ingredient. This is more of an appearance issue, but can become more nuanced when something happens during the shipping process, because the ingredients could hypothetically cross contaminate. We should note that this didn’t happen for us during our testing of this service, but it was a thought we had upon seeing the presentation. Terra’s Kitchen did not have a variety of dietary plans for those who have allergies or certain preferences. There is quite literally a vegetarian option or “I like it all”, meaning that you get little flexibility when picking out your meals. You can order specifically paleo or gluten-free options, but those are not as readily accessible as they are on other meal services. For some, this could be an immediate roadblock that makes it difficult to commit to Terra’s Kitchen. For us, we didn’t have this as an obstacle, but thought it was worth mentioning so you can get an idea of who the meals are made for. If you’re able to eat these dishes, the price can also be an issue—at a whopping $75 for three meals for two people, you’re looking at about $12.50 per serving, something that definitely puts it out of the league of accessibility for many. On the bright side, the ingredients are often ethically sourced and the vegetables are from sustainable farms. This is a huge plus for those looking to stick to an ethically-sourced diet, but you’ll still have to have some of the kitchen basics (like salt, pepper, and oil) to complete some of the recipes. The meals themselves aren’t much to write home about, with a good variety of options with delicious vegetables, but the meats not being that appetizing. This was an issue for us, but once we were able to get past the meats, we could eat the vegetables and appreciate the rich flavor they had. A main fault for Terra’s Kitchen, though, is the way in which the food is packaged. Meals are put in a mini fridge that you then place outside the next morning for a pre-set delivery. This is not the worst thing in the world, as it is a good way to save waste and reduce environmental impact, but it puts a bit of responsibility on the user to then be able to carry the device back outside once they are done. It’s also a shame when other services have bio-degradable packaging, which is something we think is a much more intuitive way to have sustainable products. Plated is a meal kit delivery service that truly gives the user the flexibility to decide what they cook, what level they cook at, and how they commit to the service. This is unique in terms of the other options we’ve looked at, because typically you find yourself with 8 options to choose from without any gauge of how difficult they are to assemble. With Plated, you’re allowed to select from an astonishing 20 different meals per week with each meal also being given a skill level so you can also choose the difficulty of the meals you make. This is an aspect of meal kit delivery services that we didn’t know we needed, but are so glad we have access to. Another benefit to Plated is the 2 desserts per week, which may not be the most logical for those looking to maintain a strict diet while using the service, but helps people not in that position to enjoy some sweet with their savory. Like other services, there’s also detailed information and nutrition facts for every item, so you can also use one of the desserts as part of your diet’s “cheat day” and still keep track of the calories! Another huge benefit for Plated is that all of the meats are antibiotic-free, meaning that they have an enormously natural taste, heightening the flavor of any meal. The other ingredients are also ethically-sourced, ranging from local ingredients, sustainably-sourced fish, and other beneficial and environmentally-friendly practices. The pricing for Plated isn’t too out of the ordinary, with the baseline price being $9.99 per serving, but the max being $11.99 per serving. Like with all meal kit delivery services, this price goes down as you order more food for more people. However, with Plated you actually feel like you’re paying for the quality of the food, making it so you truly get your money’s worth. For many people (including us) this is a great thing, as you so often feel like you’re not getting your money’s worth with meal kit delivery services already. Plated also have free shipping for weekly orders over $60, making it a really intuitive service for families or groups of people who are sharing a subscription. Purple Carrot is one of the few meal kit delivery services that is also a specialty service, specifically focusing on plant-based vegan meals to prepare. This should be an obvious choice for those looking for a vegan option in the delivery service market, as they really fulfill their mission statement (“Empowering People to Eat More Plants”) thoroughly. The price is on the higher end for a meal delivery service, with the average price being $12 per serving. This isn’t so bad when you consider that it’s a service that’s entirely comprised of vegan recipes and ingredients, making the price worth it for those who want to retain focus with their meals. Purple Carrot also has specialty meal offers that come and go, allowing you to focus on specific nutrients or other dietary highlights that can sometimes be forgotten. You’ll have to pay an extra dollar for many of these specialty meals, though, something that could be deterring for people on a tight budget. The ingredients aren’t usually locally sourced, often coming internationally, but that wasn’t an issue with us. The boxes the meals arrive in are all well insulated and give plenty of room for the ingredients to sit, something that we believe is ultimately beneficial when you’re shipping a tightly-packed box of ingredients to someone. One of the most fun things about Purple Carrot is the creativity in the recipes—with meat substitutes such as Carrot Dogs and Barbecue Skewers made from Summer Squash, this is truly a service for those who want to be interested in creative, unique meals for their meal plan. Something unique about Purple Carrot is that each box comes with all of the kitchen materials needed to assemble the dishes, something that is not done with any other of the services we tested. This is something that would be truly useful for those who are in places that they just moved into or in spaces where you don’t have a kitchen ready. We were also thinking that this feature could be beneficial for those who are traveling and only in an apartment for a few weeks, making Purple Carrot a good option for vegans who travel frequently as well. We consider Purple Carrot one of our favorite services that we tested simply because of the delicious food, the thoughtful, sustainable ingredients/packaging, and also the specialty menus that make it really stand out and be accessible to many people. One of the main downsides of Purple Carrot, though, is that it doesn’t have nutritional facts on many of the recipes, making it difficult for those who deal with allergies to know what is going in their food unless they’re familiar with the ingredients. As the name might suggest, Green Chef is a service that wants to be known for having the best environmentally-friendly ingredients and recipes you can find. Within these goals, they have a handful of different diet types you can choose from, including keto, vegetarian, vegan, gluten-free, paleo, omnivore, and carnivore. This is a good enough selection that we can feel like it’s a pretty accessible service, being able to cater to a wide variety of dietary restrictions and preferences. The ingredients are also organic, non-GMO products, further contributing to their environmentally-friendly mantra. The prices for the Green Chef plan are average, mostly running you (at the cheapest option) $10.49 per serving. Within the context of other services that cost you $12 per serving, this isn’t much to worry about, especially given the environmentally-conscious method of production, ingredients, and ethos. A great benefit of Green Chef’s subscription policy, though, is the ability to stop and start again your plan on a weekly basis without any repercussions. This makes using the service incredibly convenient, as there is little worry if you have to leave town last-minute. A negative aspect of the Green Chef service, though, is that you don’t get to choose your meals—instead, you specify your plan, the proteins you want, and then the service chooses dinners for you. For many, this can be an instant “no”, as you lose some autonomy in being able to decide what you eat. If you want to be surprised and don’t mind having something different each time, though, you likely won’t feel passionately for or against this policy. We couldn’t help but wonder, though, why they do this; the service itself appears to have quite a large variety of dishes to choose from, so why not let somebody choose it for themselves? The bright side is that you can be ensured that each meal you eat will be exactly according to your dietary preferences, but still, conscious variety couldn’t hurt. Something that does make things easier with Green Chef, though, is that the ingredients for the recipes are color-coded, making it easy for you to sort through the box and put the proper ingredients in their places. This doesn’t save you much time, but it does make things more convenient. What you get with Green Chef, though, are some of our favorite ingredients we had throughout this testing process. We truly loved each meal we had, in particular the BBQ Beef Mini Meatloaves which were oozing with flavor. The flavors are strong, the price is good, and it gives you some options, so why not give it a try? The only downside is not being able to choose your own meals, but—if every meal tastes delicious—you don’t have much to lose. One of the things you’ll notice right away when you receive your Home Chef box is that the ingredients are grouped per meal. This is an intuitive approach that helps the packaging be simple to unpack and helps you get cooking right away. The Home Chef meals you can choose from let you select from a variety of different types of meals under different dietary preferences, but what stood out to us was that there was a good mixture of comfort food and more sophisticated food. This was helpful for those who may not always want to have a fancy meal each night, as you have the choice to not only choose between different types of meals for dietary reasons, but also different types of meals within the sophistication of a meal. Something like mashed potatoes might not fit in with the menus of other meal kit delivery services, but with Home Chef they fit right in. The food in general is very delicious, meaning that you’re able to have a wide variety of different types of food without worrying about whether or not you’ll get bored of the approach. There’s also an impressive list of meals that you can choose from, allowing you to select from 18 meals per week. You can also cancel your delivery for weeks on end if you must leave town, but because you have to do this at least 5 weeks in advance, this is not the most accessible service for last-minute circumstances. Something that Home Chef has that other meal kit delivery services don’t is the section on the recipes that tells you what to prepare before you start making the food, a part of preparing food that is seldom remembered. Like with many other recipes outside of meal kit services, we often have to sift through our ingredients and kitchen utensils to make sure everything is ready before beginning the prep, something that you can avoid altogether with Home Chef. As you can see, meal kit delivery services can vary greatly—we made this list in order to give you an idea of what different types of services there are out there. We were able to rank them and give you an idea of their effectiveness, something that we hope narrows down your search when you’re deciding which is right for you. However, like we said before, we do have a Top 3. We factored in all of the different aspects we were analyzing the services for (accessibility, variety, quality, and price) to decide on which 3 were the most efficient and unique services with the highest-quality products. So, there you have it. We went through and tested out 10 different meal kit delivery services to give you our Top 3. Do you have any favorites? Are there any on our list that you want to try? What do you think about our Top 3 choices? Let us know! Meal delivery services have seen a meteoric rise in the last few years thanks to the convenience it brings to consumers who are busier than ever and don’t have the time to go shopping for their meals at home. We have compiled a couple of FAQs to help you get acquainted with this new industry. If you haven’t tried meal delivery, then read on below to find out about the basics and whether it is right for you. Depends on the meal delivery service you’re going to get, but prices usually range from $9 to $12 or more. The prices differ because of the type of meal a service offers or options they include. This depends on your goal as a person. If you are someone who is really busy and has excess budget, then the fact that meal delivery will save you valuable time may be indeed worth it. For others who are on a tight budget and have time to spare, then it might not be. The best meal delivery plan is the one that best suits your very specific needs. If, for example, you need as much variety and options as possible, then the plans offered by Sun Basket, HelloFresh, or Plated might be best for you. If you want luxurious meals, then you might consider Martha & Marley Spoon or PeachDish. Indirectly, yes. Those who usually opt for meal delivery services are often the busy professionals who need more time for work, which in turn can give them more income. But taken in a vacuum, meal delivery will always be more expensive than doing the shopping and cooking yourself. A meal kit delivery service is where you choose a meal plan or ingredients from a supplier, and that supplier delivers all the meal ingredients to your doorstep so all you have to do is cook. Most, if not all, delivery services have a website or apps where you can choose from the different kinds of meal plans they offer, which is usually on a per week or on a per month basis. Once you are subscribed to their weekly or monthly plans, then they’ll deliver to you your meal kits straight to your doorstep. Unfortunately, Ediets have closed down. Originally one of the largest online platforms with regard to diet, they tried to experiment with meal delivery but failed to gain traction. Yes it has. It offers it as a free ad on service for its Amazon Prime and Amazon Fresh members. Its prices are usually in the $8 per serving range. It is quite easy to discontinue your subscription to Home Chef. You will just need to login to your account, look for the Account Information tab, then choose the Pause Your Account option. Orders that are already processed will not be cancelled, however. It can be very attractive to those who like to cook but don’t necessarily have the time to shop. Meal kit delivery offers the best of both worlds by delivering your ingredients to your home and still allowing you to prepare and cook the food. Depends on the kind of food you ordered and the kind of meal delivery service you subscribed to. Some, like Terra’s Kitchen deliver meals in a reusable mini-fridge, while some like Blue Apron only delivers in a regular box so you’ll have to transfer the meals into your own ref for storage. There are literally too many to count. You have the popular ones like Sun Basket, HelloFresh, Terra’s Kitchen, and Purple Carrot, but you also have others such as Home Chef, Amazon’s meal kit delivery service, Green Chef, that are a little less known. It seems that every so often, new brands or expansion services open up in this market. Home Chef is a meal delivery service started in 2013 and specializes in home cooked meals and ingredients. It now has more than 700 employees and, in 2017, has delivered over 10 million meals all across the US. No, at least not yet. In 2017, Lyft began testing a new function in partnership with Taco Bell that will allow customers to order Taco Bell through Lyft, but it hasn’t been implemented officially. Its competitor Uber, though, already has a meal delivery service called Uber Eats. A lot of meal delivery services have been teaming up with grocery stores. Gobble has already partnered with Walmart, and Blue Apron has also announced that it is getting ready to sell meal kits at grocery stores. Amazon, after acquiring Whole Foods, has started to do the same. Meal delivery services often differ in the kind of food they order, not on whether you are single or have a partner. You can then order correct portions and servings accordingly. If you are constantly pressed for time but also want to cook your own food, then a meal delivery service might best suit your needs. It might be pricy, but eating delivered meals everyday might be healthier, as part of the cost you pay is the guarantee that you’ll be delivered fresh and healthy meal ingredients. Having your meal kit delivered to your apartment is as easy as choosing your meal delivery service and creating an account with them so they’ll know where to deliver your order. Reheating instructions for your delivered meals and meal kits depend on the kind of food and meals you ordered. Some might not be ideal for reheating while some can be as easy as putting them in a microwave. Proponents of meal kit delivery do it for a variety of reasons but most of them value convenience above any other. Getting your ingredients of choice without ever leaving your house is one of the main benefits of meal kit delivery, and the reason many continue to swear by it. There is actually no official Kim Kardashian meal delivery, though people can use meal kit delivery services to order the kinds of food Kim Kardashian would most likely eat in accordance to her low-carb diet called Atkins. Yes, as it is actually the main service of meal kit delivery companies. 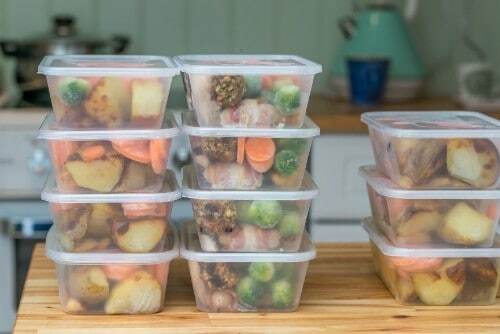 Each one, however, can have a different material to use as packaging for their meals. Services like Martha and Marley Spoon, Green Chef, and Blue Apron use relatively regular boxes to package their meals while Terra’s Kitchen and some others use refrigerated ones to keep meals fresh. Meal delivery has become a $2-billion industry in the US. Here are some interesting bits about the industry. Good Eggs was founded in San Francisco by Rob Spiro and Alon Salant back in 2011. Both of them envisioned a service that will delivery fresh food at home on-demand. While it may involve a lot of technical details, starting a meal prep delivery business begins with the business plan. You should also have clear goals, objectives, and a unique selling proposition. While Amazon is a newcomer compared to more established meal delivery companies, it does have the advantage of having vast resources, as well as owning a grocery chain in Whole Foods. Its meals are of almost the same price as its competitors, and offer the same convenience and taste. Meal kit delivery started in 2012 in the US, but the company credited with creating the new industry is Linas Matkasse, a Swedish startup that started its operations in Europe in 2007. The best meal delivery must have the balance in taste, price, and accessibility. You can’t go wrong with the popular ones such as Blue Apron, but our personal picks are HelloFresh, Green Chef, and Purple Carrot. This is going to be based on what kind of diet you are looking for. Searching for vegan food? You best look at Purple Carrot. Looking for the Keto-friendly meals, then you can look at HelloFresh. Figure out your diet-of-choice, then go from there. Prices change every so often, but right now, if you want the cheapest, it’s hard to beat newcomer Dinnerly which delivers food at $4.99 per serving. Next would be Home Chef and Blue Apron which are at around $9.99 per serving. Most, if not all, the meal delivery services tout “healthy” ingredients as one of their selling points, but some do go the extra mile. Green Chef, for example, is still the only USDA-certified organic meat kit delivery company. Purple Carrot also focuses on plant-based vegan meals. Weight loss is a tricky subject as it entails a lot of factors and personal physiology. However, meal delivery services like Plated allow a vast range of options that will most likely be appropriate for a lot more people looking to lose weight. You should choose the meal delivery plan the fits your goals and objectives. If you want to lose weight, you should probably go for services that offer low carb meals. If you want to gain weight, go for protein-rich meals. Figuring out which meal delivery offers the best-tasting dishes is a very subjective matter, but a lot of people swear by the tasty dishes of Home Chef, Martha and Marley Spoon, Purple Carrot and Blue Apron. In the end, though, it will be based on your own particular preference. 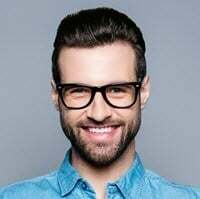 Dash (dietary approaches to stop hypertension) diet is characterized by low-sodium meals with a lot of fruits and vegetables, so any meal plan that has a lot of whole grain foods, lean meats, and fish would fit the Dash diet. Currently, you can’t use food stamps to order from meal delivery services. However, the US government a similar, state-sponsored system that will enable people to pay for meal delivery using food stamps. This is hard to assess as meal delivery packaging may vary depending on the kind of meals and ingredients. But companies such as Sun Basket, Green Chef, and Purple Carrot have recyclable and biodegradable packaging to make sure they aren’t adding waste to the environment. A lot of the meal delivery services offer Mediterranean diet such as Pangea Nutrition, Sun Basket, Terra’s Kitchen, and Blue Apron. You can even customize the meals to your liking while still adhering to the standards of the diet. There are a few meal delivery services that focus on plant-based dishes, but one of the most popular is probably Purple Carrot, which makes it an obvious choice for those looking for a vegan option. Most delivery meal services nowadays offer some form of a low-carb or low-sugar plan, which is perfect for those suffering from diabetes. 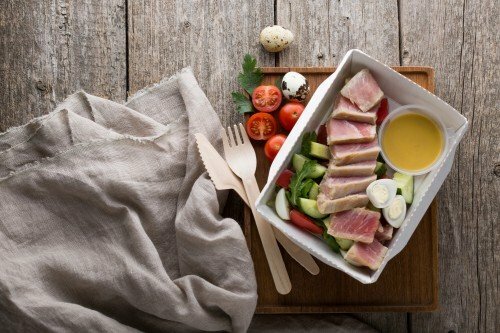 Since the Paleo diet has been popular the past few years, there are a lot of meal delivery services that offer the plan, such as Sun Basket, Terra’s Kitchen, Green Chef, and others. Yes, there are meal delivery services that offer Keto diets. Companies such as HelloFresh and Green Chef offer Keto as part of their meal plan types. There are a lot of types of vegetarian meals available, and that’s why a lot of meal delivery services offer them, such as HelloFresh, Purple Carrot, and Green Chef. Most meal delivery services offer low-carb meals and plans, including the biggest ones like Blue Apron, HelloFresh, and the likes. It is one of the most popular plans as it promotes weight loss as well as an overall healthier eating habit.